Develop your pastry skills! Courses range from initiation, short courses and basic through advanced pastry techniques to boutique style desserts, world delicacies and precise techniques. The pastry programmes are divided into three levels: basic, intermediate and superior. All three levels in pastry must be successfully completed to hold the Pastry Diploma. This 3-month certificate course is an in introductory into classic French pastry. 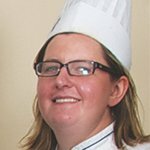 This programme teaches students techniques for doughs, basic entremets, piping techniques and, traditional cakes and tarts. This 3-month certificate course introduces students to implement all the basic techniques learned and apply it to more advanced levels of pastry. The programme focuses on chocolate piping, classical French entremets, basic boulangerie, ice cream and sorbets and, chocolate tempering and glacage. This 3-month certificate is the final level in achieving the Pastry Diploma and prepares students for their professional career as a Pastry Chef. 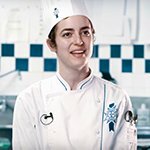 Students will gain the utmost advanced techniques in pastry including contemporary plated desserts, tarts, petits fours, sugar showpieces including pulling, casting color and blowing, entremets design and decoration. Learn from world class authentic French Pastry Chefs that have earned some of the highest honours in the pastry profession. 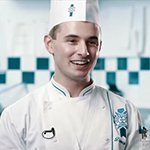 At Le Cordon Bleu, your instructor could be a Meilleur Ouvrier de France, a Master Sculptor or have experience working in a Michelin starred restaurants. Intimate class sizes ensure that you receive personalized attention, mentoring and feedback after every class in a positive and motivating environment. Practice and replicate recipes in professionally equipped kitchens designed with individual workspaces, including gas ovens, refrigerated granite countertops for chocolate sculptures, and copper pots and sugar lamps for sugar art. These facilities have been designed with the support of our Le Cordon Bleu Master Chefs to ensure that the most refined edible sculptures are created. Our chefs have experience in renowned pastry shops. Under their guidance, you will learn the skills and techniques including sugar skills, chocolate tempering, decorating skills and beautiful presentation skills as they share their knowledge and expertise. As you progress, you will have the confidence and knowledge to create your very own masterpieces. Discover the Art of French Pâtisserie.